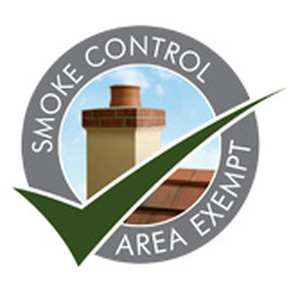 In many large towns and cities in the UK, Smoke Control Areas have been established to give local authorities the power to limit emissions of smoke and fumes from residential and industrial pr operties. Smoke Control Areas were introduced by the Clean Air Acts of 1956 and 1968 to tackle the growing pollution derived from domestic and industry emissions following the Industrial Revolution. Local authorities only allowed heating appliances such as stoves which demonstrated particularly clean burning combustion. For those homeowners wanting to install a stove in their urban property, Stove World Glasgow has a large collection of wood burning and multi-fuel stoves available for these Smoke Control Areas. Whether you are looking to fill your cosy inglenook or thinking of mounting your stove onto a bench to create an alternative look, there’s a selection of traditional or modern stoves available in various styles, sizes and colours. Properties with a non-exempt stove appliance may only be allowed to burn a list of authorised smokeless fuels. Please visit this DEFRA link to see a list of these authorised smokeless fuels that you are allowed to burn. Otherwise, Stove World Glasgow here in Bothwell offers a Smoke Control Kit for those non exempt wood burning and multi-fuel stove appliances. Introducing pre-heated, secondary air into the firebox at just the right point promotes efficient combustion of any unburnt hydrocarbons that may be in the smoke. This ‘cleanburn’ process can greatly increase the combustion efficiency of your wood burning stove and dramatically reduce the amount of unburnt particles going up the chimney.This can in turn reduce your servicing costs and save you money in fuel. It also gives you an improved flame visual. Most wood burning and multi-fuel stoves from Stove World Glasgow here in Bothwell also include the latest cleanburn and airwash system which means that it provides cleaner burn and greater thermal efficiency. This ‘cleanburn’ process can greatly increase the combustion efficiency of your wood burning stove and dramatically reduce the amount of unburnt particles going up the chimney. This can in turn reduce your servicing costs and save you money in fuel. It also gives you an improved flame visual. Please visit the ‘how a wood burning stove works’ page on our supplier’s site Stovax, if you would like to find out more information about Cleanburn and Airwash technology. To find out more information on whether you live in a Smoke Control Area, visit Please visit this DEFRA link.